On December 11, Kyiv district administrative court reinstated dubious Roman Nasirov as fiscal service chief. 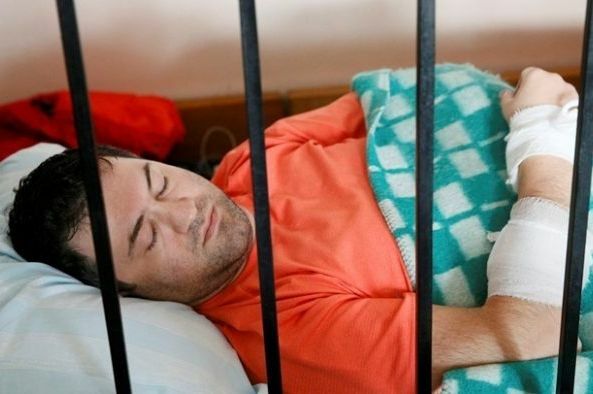 The court ruled that allegedly not all the procedures were followed during his dismissal and found the letter by the UK Embassy clearly stating that Nasirov has British citizenship "not convincing" enough. 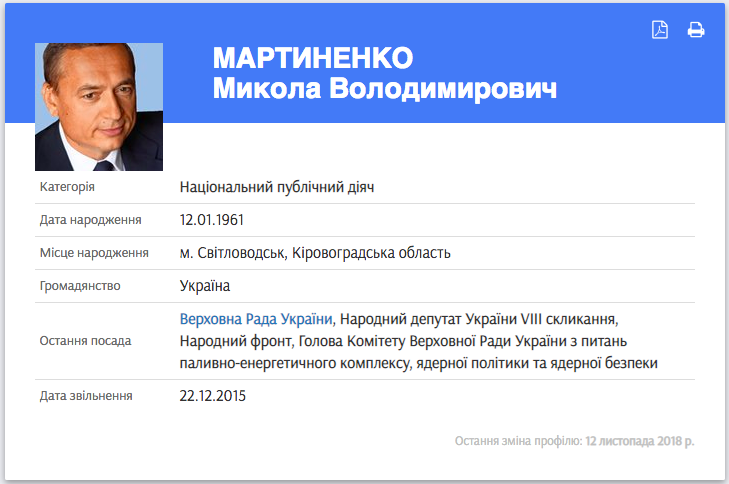 According to the civil service law, Ukrainian public official cannot hold dual citizenship. The Cabinet of Ministers promised to appeal this decision. Director of DEJURE Foundation and former judge of the administrative court Mykhailo Zhernakov explains in details why the decision is groundless and unjust (see English text below in his post). For reference: Nasirov was accused by NABU/SAPO in embezzlement of around $80 million. The criminal case against him was transferred to court in November 2017. Nasirov's attorneys requested and the judge agreed the entire 774-page indictment to be read at the court. As of December 2018, SAPO prosecutors have read only 394 pages. Member of Parliament Boryslav Rozenblat (who is a subject to NABU investigation in the 'amber mafia' case) filed an administrative claim against NABU director Artem Sytnyk and MP Serhiy Leshchenko. He asked the court to evaluate their actions when they revealed that Manafort’s name and signature were found in the so-called “black ledger” of Yanukovych's Party of Regions. The court stated Leshchenko's and Sytnyk's actions were illegal. The court went even further and blamed them for interferring in the 2016 U.S. presidential election. KyivPost informs that in response to the ruling, Leshchenko published a post suggesting that the decision was aimed at helping President Petro Poroshenko remove Sytnyk from office. By finding NABU chief in violation of the law, the authorities will attempt to deflect criticism from among Western diplomats in Kyiv if he is removed. 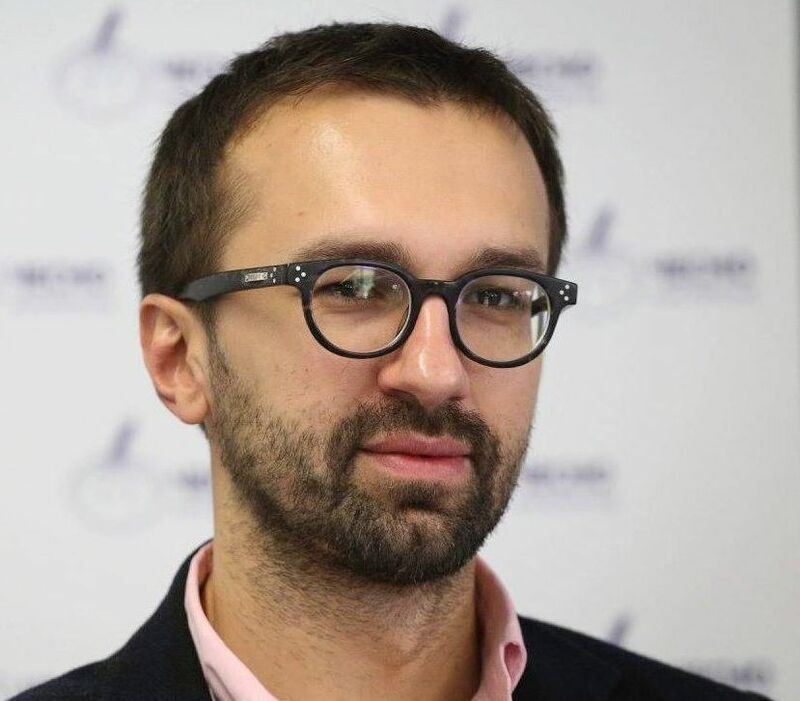 “In response to criticisms about how (firing Sytnyk) is unacceptable, the scammers in the president’s circle will say: we’re firing him for illegally influencing the elections in the U.S.,” Leshchenko wrote. Pechersk Court fully satisfied the appeal of former Narodnyi Front MP Mykola Martynenko against the AntAC. He requires to delete all information and references about him from the Public Register of Domestic Politically Exposed Persons of Ukraine – pep.org.ua, which is administered by AntAC. We consider court’s decision as the offence of freedom of speech and will appeal it. More details. To learn more about our PEP database, please see recent blog by Tetiana Shevchuk. Ex-Prime Minister Tymoshenko, the leader of Batkivshchyna party has denied hiring lobbyists in the United States. But documents filed with the U.S. Justice Department under the Foreign Agents Registration Act (FARA) show that she has two U.S. agents acting in support of her, hired by what appears to be a shell company whose real owners and sources of funding are concealed. The Kyiv Post has confirmed that at least one of her meetings in Washington last week was arranged by one of those agents. According to U.S. legislation, Tymoshenko had to register as a foreign principal if she had hired a lobbying firm. 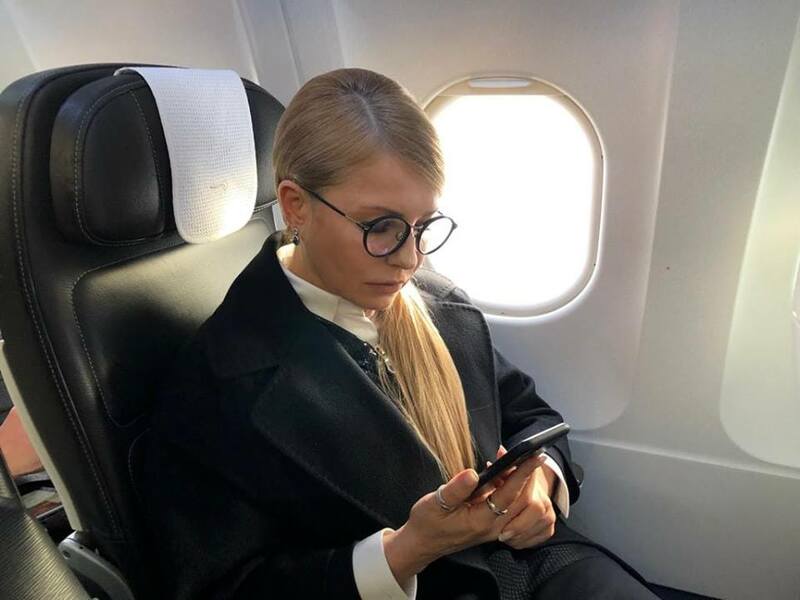 Otherwise, the agents’ services – worth of hundreds of thousands of dollars paid by a third party – would be considered a high-value gift, which Tymoshenko as a lawmaker had no right to accept. Full text. On December 12, the European Parliament adopted a resolution significant part of which is dedicated to assessing the reforms progress, and specifically fight against corruption. MEPs commend Ukraine‘s reform efforts but point on a number of issues which are still to be done. 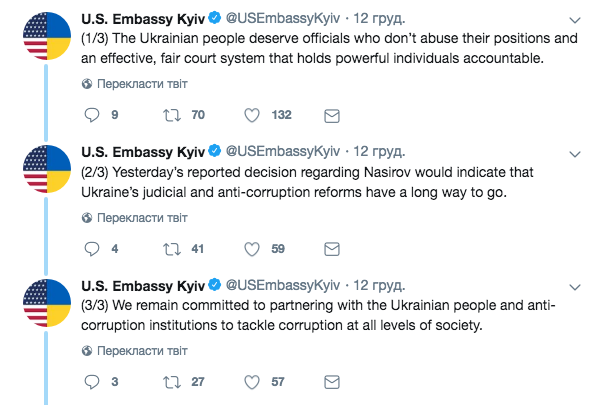 The resolution welcomes the work of NABU, but points to the problematic interference from the prosecutor general and attempts to undermine the anti-corruption legal framework, and stresses the critical need to safeguard NABU’s independence. It underlines the importance of the independence of the special anti-corruption prosecutor and calls for an effective investigation into the allegations against the SAPO chief regarding the disruption of NABU investigations. Separately MEPs called for a comprehensive reform of the public prosecution in order to strengthen the capacity, efficiency, impartiality, objectivity and independence from superiors of the prosecutors. MEPs welcome the ongoing comprehensive judicial reform, but regret the extent to which the existing judicial system in Ukraine still remains ineffective, corrupt and politically dependent. They call for the independent High Anti-Corruption Court to be established promptly and in a transparent and trustworthy manner. In addition, MEPs are concerned with the attacks on activists. They call to lift e-declaration requirements for NGO activists, and strongly condemn the growing number of physical attacks against civil rights activists and journalists. Also, the resolution condemns the construction of the Nord Stream 2 pipeline which bypasses Ukraine, and Russia‘s recent aggression against Ukraine in the Kerch Strait. The European Parliament demands the immediate and unconditional release of all Ukrainian vessels and sailors, and guarantees from Russia of the freedom of navigation through the Kerch Strait and in the Sea of Azov. The resolution calls on the EU and its member states to introduce targeted sanctions against Russia if the Ukrainian servicemen are not released and if there is any further military escalation. Full text.